Gene therapy is a medical technique which utilizes specific, normalized genes to replace the genes that are abnormal or not present in an affected individual. The goal of gene therapy is to correct a disorder caused by missing or abnormal genes. Although the processes of gene therapy are still at an experimental stage, the results achieved have been quite encouraging. Since the 1980s, about 2,500 clinical trials involving gene therapy have conducted worldwide. 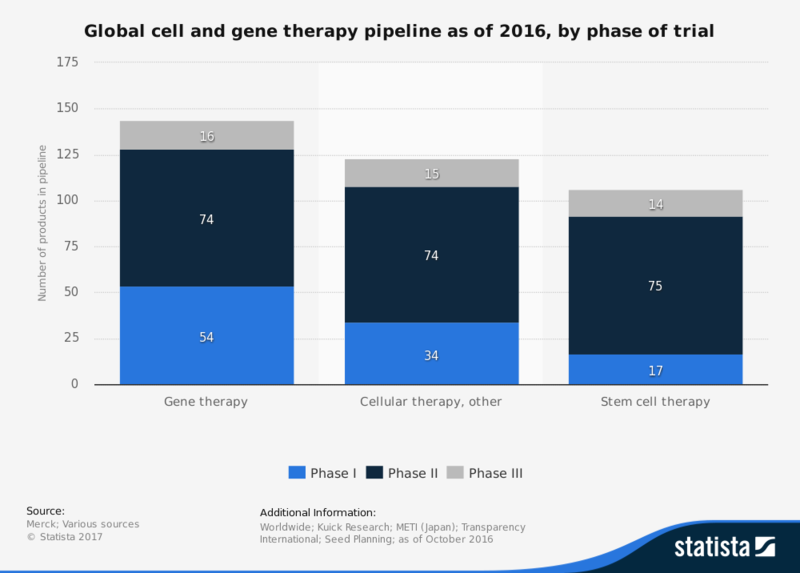 The largest number of active gene therapy clinical trials occurred in 2015, with 163 being conducted. 95% of the clinical trials are classified as being at an early phase of development. About 7 out of every 10 clinical trials is listed as being ongoing. Two-thirds of all gene therapy clinical trials are based in the United States, with most targeting specific cancers or diseases. The first gene therapy approved, however, was in the European Union in 2012. Here are the biggest pros and cons of gene therapy to review. 1. Gene therapy does not rely on natural discoveries for advancement. Many of today’s medications are based on discoveries from nature. Antibiotics were discovered in 1928 by Alexander Fleming when he noticed that bacteria in a petri dish were killed when penicillium molds were left in contact with them. Gene therapy is based on technology and our ability to identify, then modify, specific genes. That means we can advance these medical treatments at a faster pace. In return, we’ll be able to lower the costs of these therapies dramatically as our technology and best practices improve. 2. It can be used outside of humanity. Gene therapy isn’t a technology that is reserved only for humans. We can apply gene therapy techniques to plants as animals as well. This allows us to treat their genetic conditions, extending lifespans and stabilizing health. Future applications of gene therapy could create a healthier food chain from start to finish. We could even reinforce the immune systems of plants and animals to naturally withstand disease to prevent species endangerment or extinction. In return, food producers could create more profits because they’d have greater yields. 3. Gene therapy allows us to treat what was once thought to be untreatable. The modern approach to gene therapy does more than correct a disorder that occurs from birth. We can also use gene therapies to correct specific disorders or diseases that develop over time. Anything with a genetic foundation, from influenza to Parkinson’s disease, could be treated with medications and techniques that are developed from gene therapy research. Even if lifespans cannot be extended for some, the quality of life being experienced could be much higher. 4. It could be used for other applications beyond disease and genetic disorders. Gene therapy has the potential to be helpful in a number of different ways. Imagine being able to visit a fertility doctor to be treated genetically for infertility to have it permanently reversed. Gene therapies could deal with issues like glaucoma to preserve eyesight. Clinical tests on animals have already shown that the benefits of treating non-life-threatening conditions can lead to a “normalized” life for those affected. Applied to humans, gene therapies could alleviate a lot of suffering. 5. Gene therapy would end the stigma of genetic disorders. In the United States, about 1 in 10 people are affected by a rare disease at any given moment. That means about 33 million people are currently dealing with difficult signs and symptoms of a genetic disorder in some way. Some health issues may be minor, while others may be life threatening. About 4 out of every 5 diseases we have identified that are harmful to humans have a genetic foundation which causes the issue. By replacing faulty cells or introducing new genetics when they are missing, it becomes possible to treat some of these issues. 6. It gives parents new hope for their children. About 3% of all children born in the United States each year are affected by a genetic condition. Many of these disorders and diseases will take the life of the children they affect. Birth defects, for example, are the leading cause of infant death in the U.S. right now. About 20% of all newborn fatalities are attributed to birth defects. 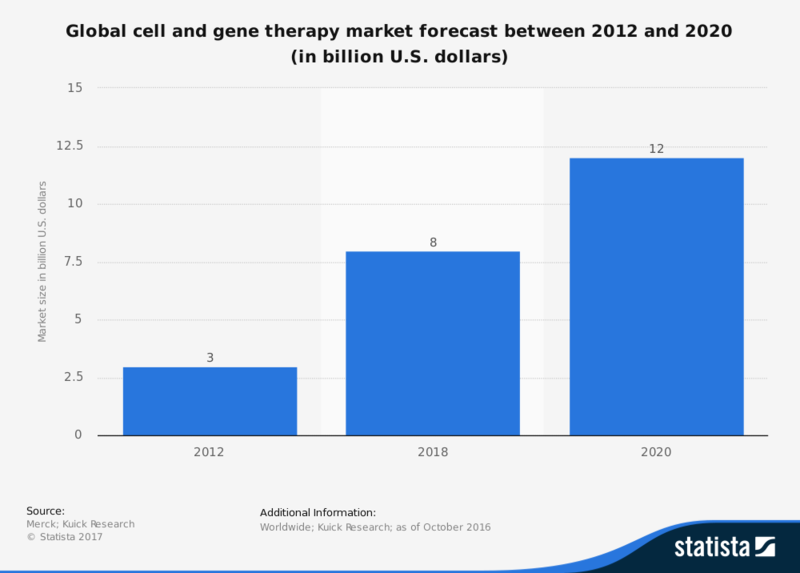 The technologies that allow us to provide gene therapy could reduce these figures in the coming years. 7. Gene therapy could unlock many new potential discoveries. There is the potential to save many lives with new gene therapies. More people means having more perspectives and diversity for future research. By saving lives today, we could set the stage for many more potential discoveries in the future by those who may not be here otherwise. Although there will always be ethical questions asked of gene therapy, as there should be, the scientific potential of this field of research cannot be ignored. 1. Gene therapy can delay the natural grieving process. Some gene therapies have already proven to be successful. Childhood leukemia is one specific disease that responds well to gene therapy treatments. Not every child responds to gene therapy, however, and not every disorder or disease can be treated with current technology levels. There are long-term considerations which must be considered as well. What happens if the life of a child is saved, then that child lives in a persistent vegetative state for the remainder of their life? In some ways, gene therapies provide a disadvantage because it gives people the chance to embrace an alternate reality that may not exist. 2. It can lead us toward dangerous ethical concerns. Gene therapies can be used to treat disease and genetic disorders. It could also be used to create “perfection” in children. Imagine a world where parents could genetically manipulate their children to be smarter or look a specific way. It would create a new social class of “created” people, where access is exclusive to those who have the financial means to complete such a procedure. It could even lead to a society where those “created” beings suppress those that they feel are “beneath” them. 3. Gene therapies could create new forms of sports doping. Athletes are always looking for a new edge to take their skills to the next level. We’ve seen this with performance-enhancing drugs, human growth hormone, and blood doping. Gene therapies could take this concept to the next level. Imagine an athlete being able to have their genetic profile screened with the intention of perfecting certain components of speed or agility. Those with access to this technology could create more success for themselves, which would further depress the poorer classes. Gene doping wouldn’t need to be exclusive to athletics either. 4. It has shown to be an ineffective approach to medical science. Only 5% of clinical trials that involve gene therapies have been successful. There is a lot of hope for this technology to work one day, and some have worked, but most do not. Researchers have discovered that the genetic conditions which cause bothersome signs and symptoms can improve for short periods with treatment. Most, however, reverse after a short time and the individual returns to their previous state. 5. Gene therapies are most successful when donated tissues are involved. Most gene therapy treatments that are successful today still involve donated tissues, such as bone marrow, from people who are a direct match. Some donations can be extremely painful and create lifelong consequences for those involved. Although these costs are covered for donors through private insurance of the recipient or organizations like the Be the Match Registry, access to treatment may be limited for some. In rare instances, it could even cause job loss, disability, or life-threatening situations. 6. It may not be effective as a long-term medical solution. Antibiotics were discovered less than a century ago and we’re already seeing the next evolution of bacteria. These so-called “super bugs” are extremely resistant to existing antibiotics. In the United States, more than 2 million people are infected with bacteria that have become resistant to antibiotics. More than 20,000 people die each year because of these infections. According to the CDC, one bacteria called CRE is resistant to nearly all, if not all, antibiotics that are available today. Gene therapies which are successful could see the same type of evolution occur. 7. Gene therapy is not cheap. The first gene therapy approved by the European Union is called alipogene tiparvovec. It is currently listed at $1 million per treatment. Luxturna is a gene therapy option that can correct certain forms of blindness and comes with a cost of up to $1 million to treat both eyes. Even Yescarta, which has proven to be the most successful gene therapy treatment option at 7,500 patients, has entry-level pricing around $200,000 per treatment. 8. It has no reliable delivery method at this time. The most common choice for a gene therapy delivery is through the use of virus vectors. The issue with using this type of enzyme for a treatment is that a person’s immune system may eliminate it before the therapy can be introduced. Even if the delivery system does its job, cell replication and division can occur at unpredictable rates. That genetic changes a person experiences may even trigger an immune response that could be more dangerous than the condition being treated in the first place. 9. Gene therapies can create unanticipated results. If an error occurs during the gene introduction process, the patient receiving the gene therapy could experience a greater error in their genetics than what they had going into the procedure. Should that occur, an even more serious disorder could develop. That means most patients require multiple therapy sessions to complete their gene therapy. Then they must go through an extensive period of review to ensure the therapies are taking hold. Even with insurance, the out-of-pocket costs for a treatment serious could top 8 figures. 10. It has spiritual complications that must be discussed. Some people believe that the genetic profile of an individual is set by God or their preferred supernatural being or process. Attempting to alter that process is seen as interfering with what was intended for that person. To some, an attempt to correct a genetic disorder amounts to a lack of faith or a desire to question God, fate, or nature. If these perspectives are not discussed, there will always be a natural resistance within the general population to gene therapy, even if it is successful. The biggest pros and cons of gene therapy show us that it could be the future of medicine. Because it is such a new option and the costs of research and development must be recouped in some way, the costs of it are extremely high. We must find ways to manage these costs and encourage them to eventually fall through new innovations within this field. Otherwise, it will remain a treatment option only for those who can afford to have it administered.